Find the perfect spots for clothing, accessories and more with this everything organizer. 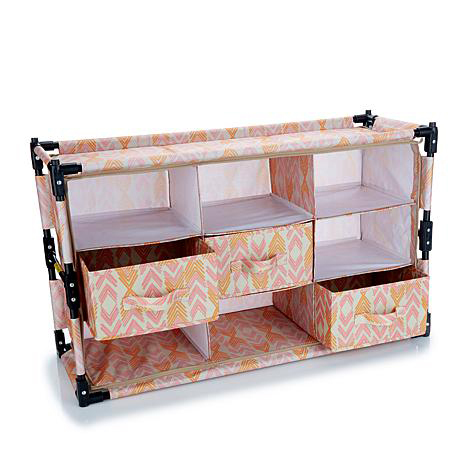 Made of durable polyester and steel, the fully assembled unit offers cubbies for larger items like your handbags and shoes while the drawers hold your scarves and belts. Organized? That's Origami.